We caught up with Olivier Gouby – Co-founder and Brand Director of FW Apparel – in the midst of his busy preparations to launch the new outdoor brand to trade in January 2019. FW make gear for alpine living, wherever you are. Olivier believes that technical outerwear doesn’t have to look like you’re about to summit Everest. With FW, he has combined minimalist, modern silhouettes with highly technical fabrics that look, feel, and perform exceptionally. The duality of these garments mean that they’re fit for purpose in the great outdoors, but style seamlessly into the street on down-days. There is a lot of apparel in the Outdoor Industry, what motivated you to add another brand to the mix? For us it was important to bridge the gap between technicality and looks. We’ve designed the line with functional minimalism. Our products are efficient with the necessary detailing and nothing added that’s useless. FW is reflective of our contemporary lifestyle. We are using relaxed cuts and silhouettes that switch easily between high performance outdoors and your urban street-style look. The Ski and Snow capsule is inspired by, and made for The Core – the people who know the demands of gear in the mountains and appreciate the quality materials that we use. The Core is passionate about their environment, and we’re determined to respect it too, by using sustainable materials where possible in garments that last. What’s your previous experience in apparel? Together our team holds more than 100 years of textiles experience. Of course this consists of a product manager, developer, pattern maker and designers, but most importantly, we are a passionate crew that is so much more than the sum of its parts. A collective mind-set pours into our work and the things that we make. The team is based all around the world from the Alps, to the Rockies, Japan and New Zealand. People from many different places that are all embedded in the richness of outdoor culture. We are skaters, snowboarders, skiers, surfers, hikers, bikers, collaborators, explorers, antagonists and advocates. My background specifically has spanned across many global brands and businesses. Travelling the world, sharing debates and ideas with people has made me hungry to build something. I’ve always dreamed of gathering a passionate crew around a strong brand project, creating something new and exciting that we are proud to wear. Products that fulfil our daily needs from urban to alpine. Products that are well thought out, with details not obvious, but natural, clean and unique. What is FW’s view on sustainability? For us, sustainability is first and foremost to make quality gear that lasts. We are not creating one-season products but gear that fans and retailers trust to perform year after year. Our partnership with 1% for the Planet helps us to continue learning, contributing and improving. 1% of all FW sales are donated to Environmental Non-Profits that are actively fighting climate change. This is not just a cheque that we write to sleep well at night, but projects that the whole company are involved in from volunteering hours locally, to marketing that raise awareness globally. We incorporate low impact materials where possible, but never at the expense of durability. We look at the problem from all angles to ensure that we’re not creating environmentally friendly products for landfill. This means that if we have to choose between a material that lasts, and an eco-friendly material that doesn’t, we will choose quality first. Every product in our premiere FW line incorporates low impact materials, we’re always searching for new improvements and will continue to seek out the best advice and materials. There is always an end of life for a product, so we are currently developing a repair and reuse program to ensure our garment’s lifespan is optimised. Our fabrics are the unsung heroes of FW garments. They look good, sound good and perform exceptionally. From the way they hang, to the way they protect you from a storm. We are using many fabrics from Japanese textile geniuses, Toray; they are world leaders in the industry and have brought us the exceptional Dermizax EV3. Another fabric highlight is the Primaloft® Black Insulation Eco featured in the Manifest Crewneck Puff Layer. This Bluesign certified insulation provides breathable warmth, without the bulk and is made of 60% recycled materials. We select our different fabrics with one goal in mind, each layer is an important part of a system to keep you warm and dry. From Waterproof shells to merino base layers, the garments work together to wick moisture away from your body, regulate heat and keep the elements at bay. This 3-Layer Jacket is designed with dedicated craftsmanship for all of your outdoor needs and nothing more. 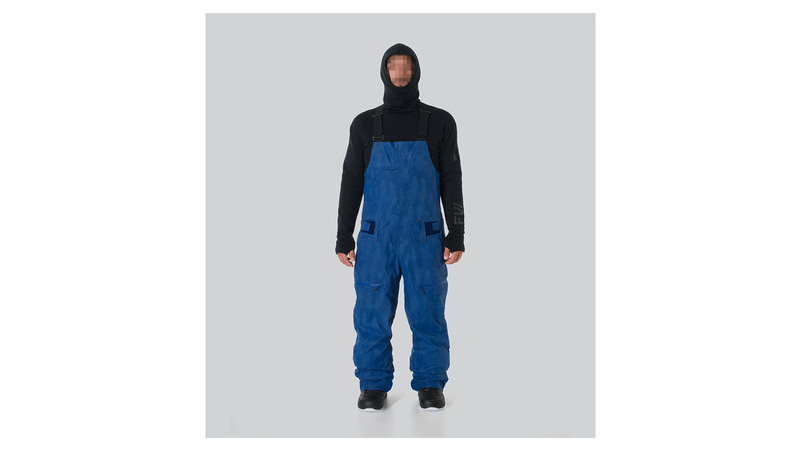 Function-first details such as wrist gaiters, pant-interfacing, and the powder skirt are there when you need them and disappear when you don’t. 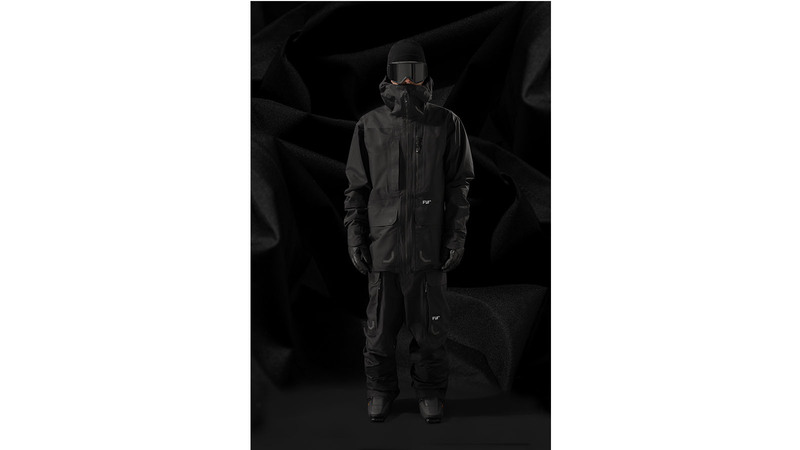 The 3-D-adjustable visor and fixed hood allows you to tweak this outfit to perfection. With durability in mind, this jacket uses the best YKK zips and our premiere performance fabric: the 20k/16k 3-Layer Dermizax membrane. These quality materials prove effortlessly ergonomic and yet extremely protective and waterproof. Technical design details and quality fabrics provide protection from the elements in alpine + urban environments alike. 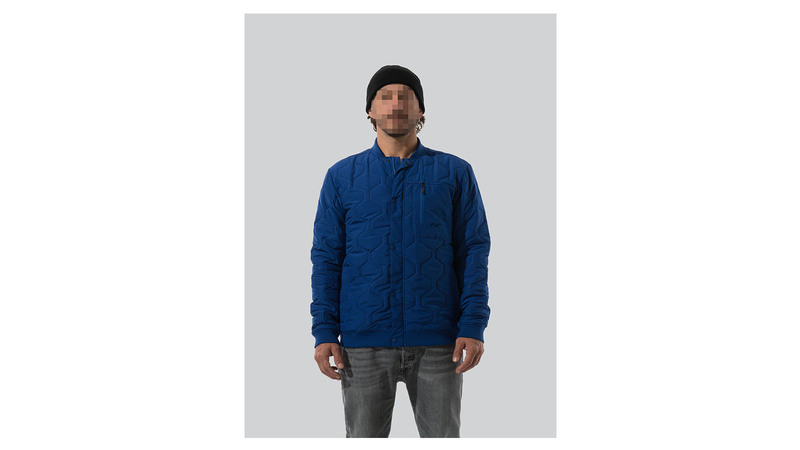 The high neck collar lined with cosy Polartec fabric turns a cool breeze and seals in warmth. The minimalist aesthetic and streetwear fit make the Root Anorak easy to style with your outfit on and off the mountain. What’s your vision for the brand in 19/20 and beyond? We aim to inspire and enable people seeking adventures big and small. FW’s premiere season will connect us to snowboarders and skiers in 19/20 but we’re not resting there. We’re dreaming big for the wider action sports fans that don’t want to compromise on form or function. Outdoor enthusiasts seeking fresh designs with no compromises – gear that can be worn to the bar AND the backcountry – whether that’s hiking, camping or snowboarding. FW gear empowers you to do more outside – no matter your skill level – and engage with the environment around you. We want FW fans to trust that our kit works perfectly, that it looks good and that it’s a responsible purchase. We’re always learning about sustainability and we’re acting on it from day one: from the materials we use, to our partnership with 1% for the Planet. We respect nature and think forwards to safeguard it, not only for the powder days!